Automotive Applications and Urethane Spring Rubbers | Acrotech Inc.
Below is a sample of our lineup of spring rubbers. We offer many different styles to suit your dampening needs. Spring rubbers can be used on the front, rear or both depending on what custom rate you are after. This makes modifying the rates per track, conditions and speeds easier than ever. 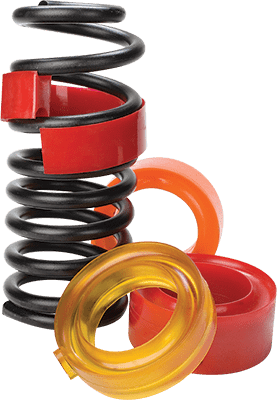 These unique spring rubbers can help fine tune the geometry and spacing of coils under compression. This type of spacer will be best used in a smooth road race type of situation. 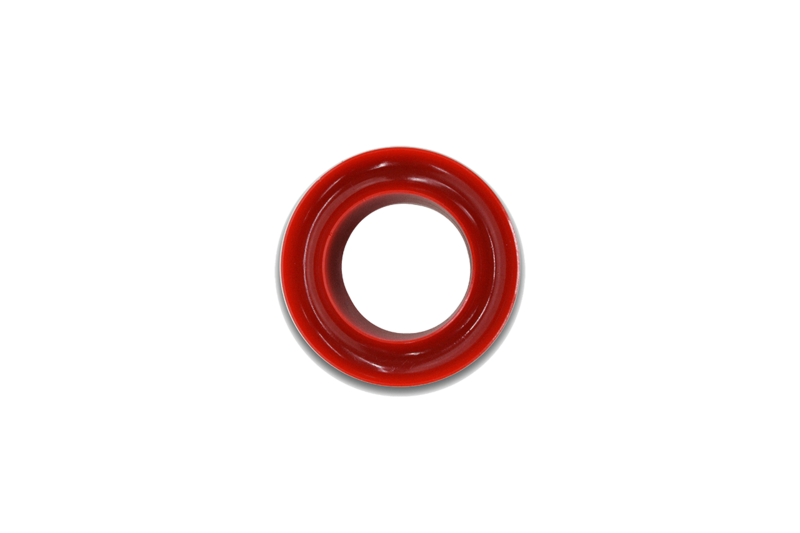 These spacers are custom only, If you have dimensions and a print we can help you with making a mold and pouring it in a specific color and durometer to meet your needs. Best to contact us for a quote directly. These are our most common spring spacers. They are designed to be cut on one side and inserted into the coil depending on your spring OD and thickness between coils. These can be custom poured with a pull molded into it for quick tune ability at the track or while pitting the vehicle. Feedback from the driver or un-predictable condition changes will allow these spring rubbers to be changed out when changing tires or fueling up. 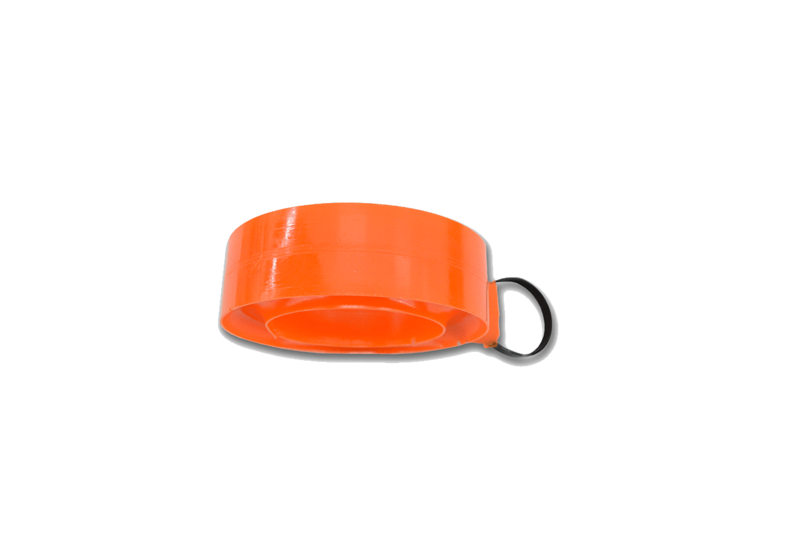 Durometers can be custom made as well as colors for quick ID or race team color coordination. These coil spring spacers once inserted are safely in place and can be used for many types of racing and road conditions. These are rugged and long lasting. These can be poured in any size you see on our list. Generally these are used in the rear of the vehicle. They are poured with one half remaining flat and are generally used for a between chassis and spring insulator. Reduces the amount force on the chassis and protects it in the process. These can be used to raise the height of the rear end for special conditions or bumpier tracks. … or many other custom applications that your automobile, truck, motorcycle or snowmobile needs may require.